D.J. Young has extensive litigation experience, having spent in excess of one-thousand hours in the courtroom representing private clients and the United States of America as a federal prosecutor with the U.S. Department of Justice. He has prosecuted drug smuggling cases and alien smuggling cases. 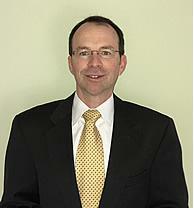 He has litigated cases involving construction disputes, frauds, zoning and land-use disputes, breaches of contract, discrimination, and personal injuries. He particularly enjoys the more intellectual aspects of litigation, including Constitutional issues, complex questions of evidence and the nature and extent of legal duties. D.J. Young is atypical of most other attorneys in that he has experience operating forklifts, agricultural tractors, and commercial tractor-trailers. He holds an Ohio Class-A Commercial Driver's License and his license endorsements allow him to operate commercial vehicles with manual transmissions and air brakes, including doubles and triples, tanker trailers, and hazardous materials vehicles. His experience and training gives him a unique understanding of the complexities of operating commercial motor vehicles safely and a view that most other attorneys do not have about all of the different things that a truck driver or trucking company can do wrong. D.J. Young also is a partner in the Delaware County, Ohio general practice law firm of Firestone, Brehm, Wolf, Whitney & Young LLP where he represents schools, real estate investors, and business people in their contractual and litigated matters. D. J. Young enjoys BBQ cooking, playing cards, home-improvement projects, and small-scale organic farming. He lives on a farm in Delaware County with his wife, Melissa, and their three children, Andrew, Rebecca, and Julia.